Malick Sidibé was a witness and participant in the changing of African youth culture, divided between tradition and the emergence of fashion, music and lifestyle influenced by the Western world. A celebrated photographer, Sidibé worked primarily in black and white and captured moments of celebration, burgeoning pop culture, and the nightlife of Bamako from the mid-20th century onwards. His photographs that documented the exciting and dynamic crossroad of culture also included portraits of young people elegantly dressed in posed studio shoots. Sidibé was selected to attend the School of Sudanese Craftsmen and later worked as an apprentice at the Gérard Guillat-Guignard's Photo Service Boutique -- it was here that he developed his skill and interest in photography. In all of his photographs emerge spontaneity, an atmosphere of celebration, laughter, dynamism and life, providing an important and unique insight into Bamako. Sidibé’s practice is recognized and exhibited internationally. 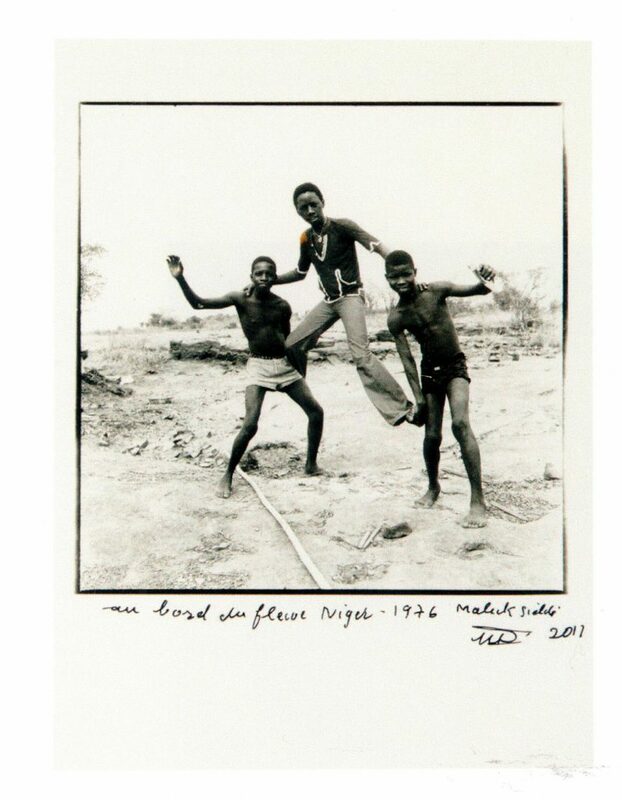 Malick Sidibé was a witness and participant in the changing of African youth culture, divided between tradition and the emergence of fashion, music and lifestyle influenced by the Western world. A celebrated photographer, Sidibé worked primarily in black and white and captured moments of celebration, burgeoning pop culture, and the nightlife of Bamako from the mid-20th century onwards. His photographs that documented the exciting and dynamic crossroad of culture also included portraits of young people elegantly dressed in posed studio shoots. Sidibé was selected to attend the School of Sudanese Craftsmen and later worked as an apprentice at the Gérard Guillat-Guignard’s Photo Service Boutique — it was here that he developed his skill and interest in photography. In all of his photographs emerge spontaneity, an atmosphere of celebration, laughter, dynamism and life, providing an important and unique insight into Bamako. Sidibé’s practice is recognized and exhibited internationally.